Posted April 30, 2015 by admin & filed under Training. 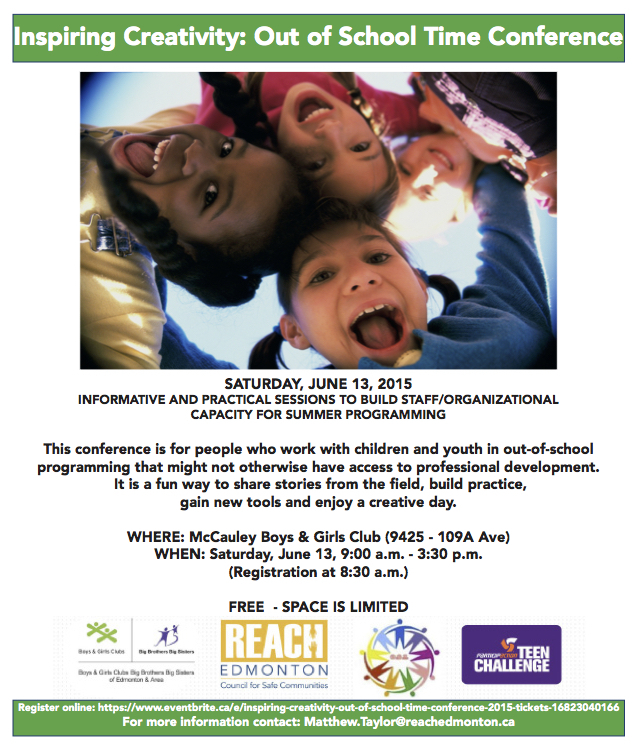 This conference is for people who work with children and youth in out-of-school programming that might not otherwise have access to professional development. It is a fun way to share stories from the field, build practice, gain new tools and enjoy a creative day. Posted March 20, 2015 by admin & filed under Training. Join us for an exciting and informative workshop that will provide participants with opportunity to establish safe environments for your program this summer. Facilitated by Canadian Red Cross and Boys & Girls Clubs/Big Brothers Big Sisters. 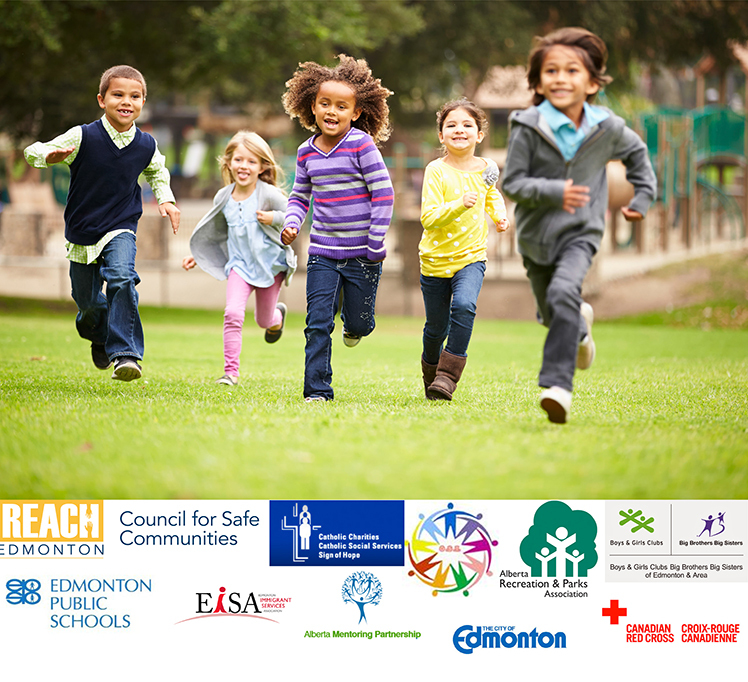 All participants will receive program evaluation tools and the 10 Steps to Creating Safe Environments workbook (valued at $10). Space is limited to 20 spots.